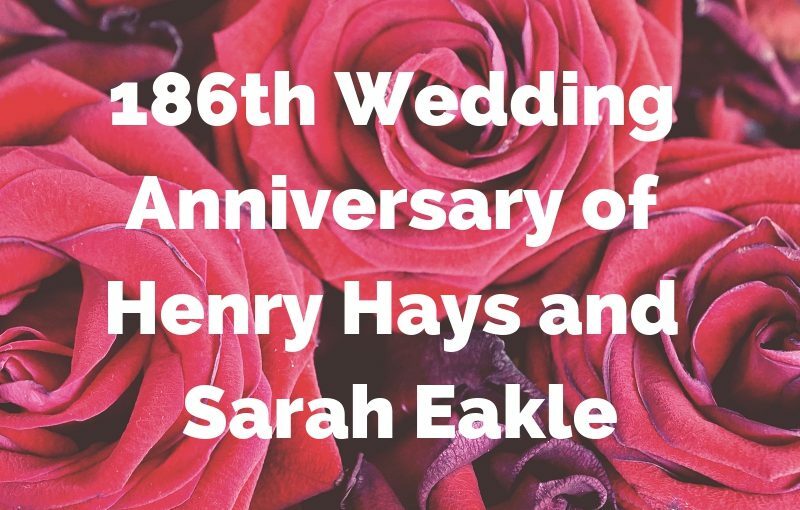 186 years ago today, Henry Hays, my 4 times great grandfather, married Sarah Eakle, in Washington County, Maryland. I am grateful for their union, the children that were born, and the fact they later moved to Illinois. Without all those steps my father, most likely, would not have met and married my mother. Henry Hays is the ancestor that I am most curious about and that has me the most stumped. It is believed that he was born in Washington County, Maryland in 1808. But, the earliest mention I have of Henry is in the marriage index for Washington County, Maryland. And, the earliest original record I’ve found for Henry Hays is a land purchase in 1843. Nothing before their marriage in 1832. I am curious about Henry’s earlier life and about his parents. Ultimately I would love to know the nationality for Hays. It could be English, Irish, Scottish, and even French. If you are researching Henry or another Hays / Hayes line from Washington County, Maryland, let’s connect. If you’ve taken a DNA test, let me know which ones. Depending on what you’ve taken, we can compare results.